The same fairy tale princess. Unfinished sketch (gotta love those legs!). Done entirely on the computer with the mouse. 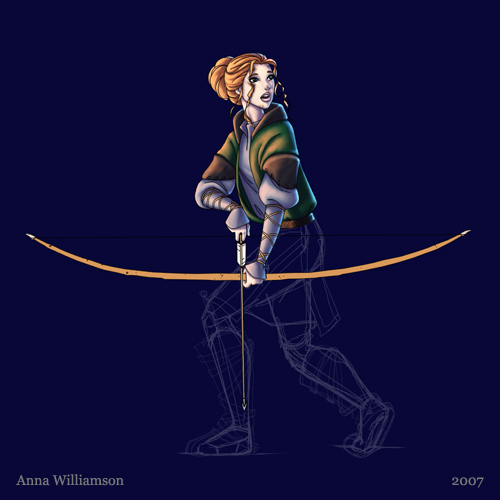 I just wanted to draw her with an English longbow . . . though it should probably be longer/bigger.